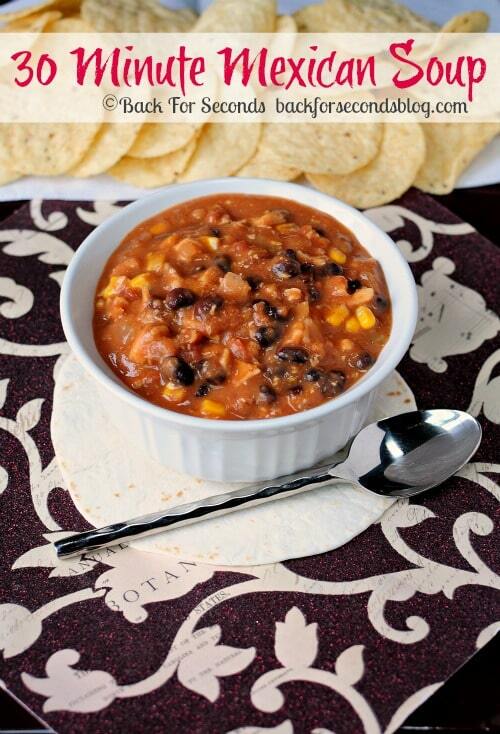 This fast and easy 30 Minute Mexican Soup is the perfect recipe for Cinco de Mayo. 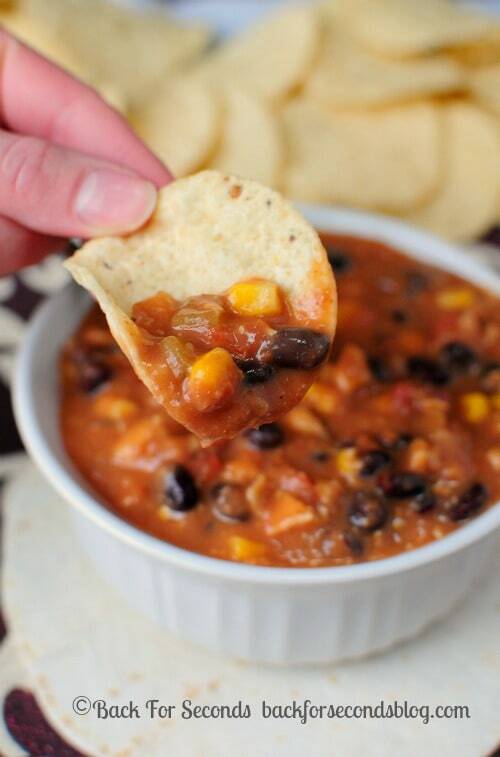 It also makes an awesome dip for your favorite tortilla chips! If you love Mexican food like I do, this is a must make recipe! It’s so simple to make, and takes just 30 minutes from start to finish. This would be a great meal for Cinco de Mayo, too! The night I made this, we ate it as a soup. It was fantastic. The next day though, I decided to break out the tortilla chips and eat it as a dip. It’s really thick and perfect for dipping – SO good! 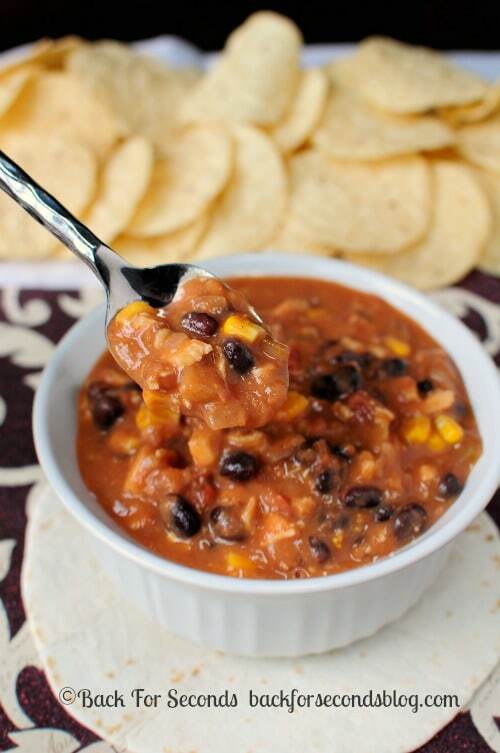 If you are a Mexican food junkie like me, you will love this soup! Saw this on Pinterest and made it tonight to rave reviews from my guys. I skipped the chicken, so it only took me about ten minutes from start to finish. It had a great balance of flavors without being overly spicy, though that could easily be adjusted if you want. We had green onions on top with sour cream and cheddar on the side and tortilla chips with guacamole. Thanks so much for such a yummy recipe! Awesome! I love hearing comments like this 🙂 Thanks for sharing, Jo! I was wondering if you drained the corn and beans. I assume so?